This volume deals with laser physics emphasizing laser theory from a physical point of view. It takes into account most recent developments focussing on the dynamics. 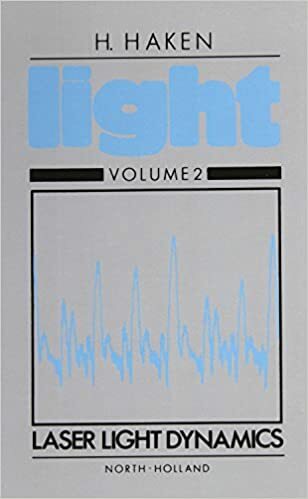 Proceeding from simple to more difficult questions, the book treats, among other topics: typical experimental laser systems, intensities of laser light in single and multimode lasers, mode competition, hole-burning, Q-switched lasers, relaxation-oscillations, frequency shifts, population pulsations, mode-locking, ultrashort pulses, self-pulsing, laser light chaos, instability hierarchies, laser gyro, optical bistability, optical transistor, two-photon laser, laser line width, Hanbury-Brown-Twiss experiment, intensity correlations, photon statistics, quantum classical correspondence, laser phase-transition analogy, the laser as a synergetic system.